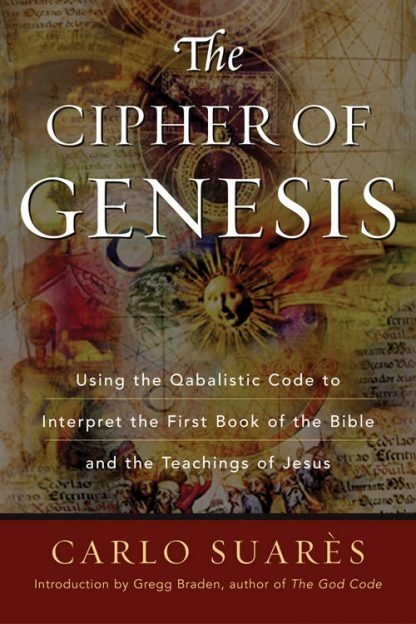 The Cipher of Genesis unlocks the key to the lost traditions of the Book of Genesis, offering profound implications for faiths rooted in the Hebrew Testament -- Christianity, Judaism, and Islam. Jesus knew this secret wisdom and attempted to teach it, but that message remained with only a few. For the most part, the first book of the Bible has been dismissed as simplistic and archaic, a literal retelling of the creation of the world in seven days, the story of Adam and Eve, and generational listings. Suares's essential argument is that the words in Genesis cannot simply be translated; one must understand the code, or the true meaning behind the words remains hidden. Each letter of the Hebrew alphabet represents a specific number, which signifies the living archetypal forces moving within the universe. Reading Genesis with knowledge of the code can project these forces into our very being and bring about the experience of Revelation. Among Suares's key points are the evident ramifications of the hidden teachings on parts of the New Testament. It is from this perspective that he interprets the Gospels of Matthew and John in a new and thought-provoking way. Suares unlocks the secrets of the Bible to reveal the ultimate aim of higher consciousness through the coded process of Revelation.